Katy Dye pulls us head first into her visceral performance art, but who is kicking and screaming? 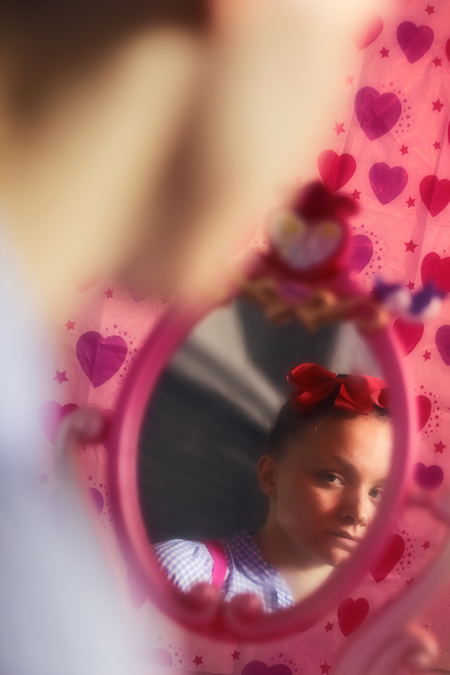 Baby Face is a confronting and acutely necessary exploration of the infantilisation of women. Katy Dye seizes our gaze and forces us to see inside extreme examples of an error which, seen in the high definition of her consistently captivating physical, vocal, and internal commitment to the performance, makes the skin crawl. Why is an image of innocence seen as something to desire on a sexual level in any sophisticated society, when supposedly we are all responsible for a commitment to protecting genuine innocence at all costs? To what harsh lengths will we go to reverse the natural states which time and experience have led us to? Why do so many of us continue to blithely play our part in condoning or aspiring to this disturbing ideal of feminine allure? Dye morphs again and again into a younger version of herself. We experience a particularly intense communal cringe as she assumes an early teenage form, engaging seductively with one adult audience member at length, before turning the tables and cooing at us all as though we are babies, engendering short-lived laughter and palpable tension. She interacts with the sparse set as though in a grotesquely drawn out multi-genre dance with each deliberately included item. Even the actual dancing encourages exhaustion in its relentless vigour, conjuring up unnerving visual metaphors for a body out of control. The sound, both that played over the speakers and emitting from Dye herself, is an assault on the senses. This, too, is a very effective choice; an unapologetic way of conveying the unsettling nature of the shared mistake that has inspired the show, and never lasts so long as to render the other layers of the project inaccessible. This concept is by no means meant to produce a comfortable environment, and is perfect for any theatre-goer looking to recognise an entrenched human problem too easily passed over.